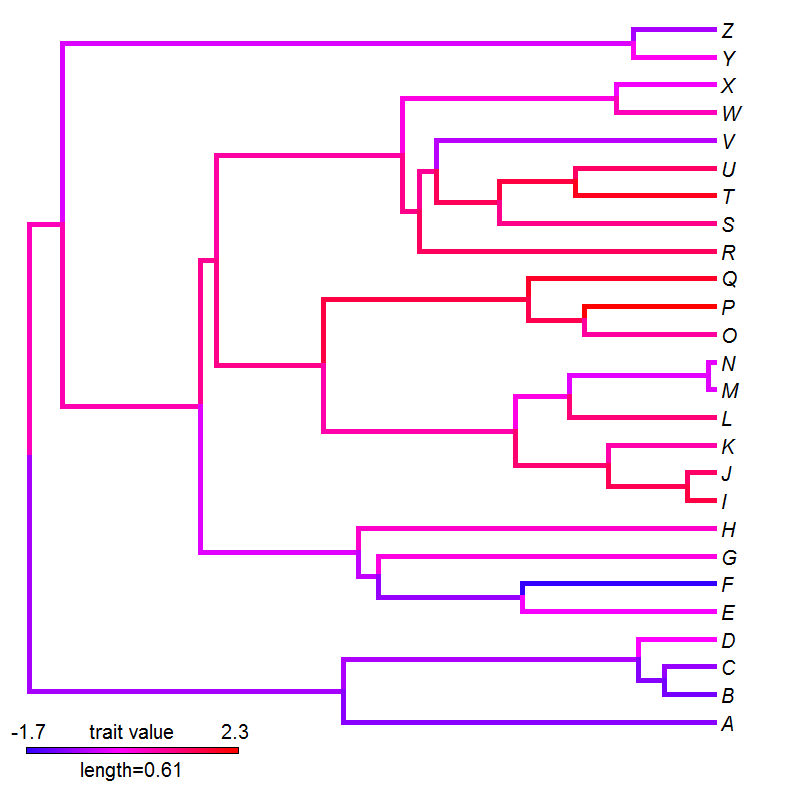 A recent comment asked if there was an easy way to substitute the raw average value of the tips descended from a node for ancestral states obtained via ancestral state reconstruction when using the phytools function plotBranchbyTrait. This is pretty easy. Here's a demo (although it could be done a dozen different ways, including using a simple for loop). Thanks a lot, Liam, just what I was looking for!